We believe expert independent financial advice is essential to help our clients achieve a more secure future. When you contact us you'll be put in touch with a qualified adviser who will offer you a free initial consultation. We're completely impartial; we'll analyse your financial situation before suggesting a strategy that will work for you; we're able to research thousands of products and mortgage deals from the whole of the market to find the most appropriate one that's best for your needs. At Nexus we're proud of the friendly working relationships we build with our clients. 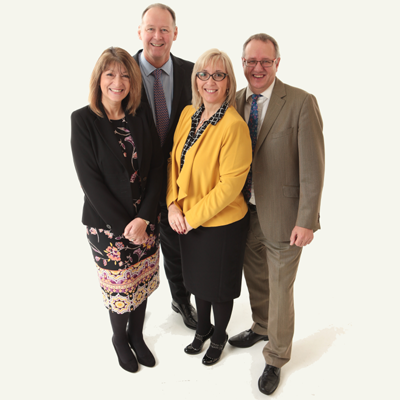 Our locally based advisers are happy to visit you in the comfort of your own home. We're committed to offering the highest standards of service, providing you with clear information, including about any fees or charges involved. You can be confident that our advisers will always work with your best interests in mind. As our client we'll offer to regularly review the advice we've given to ensure it continues to remain suitable for your financial planning needs. All of the above initial consultations are without charge or obligation. Your Adviser will provide you with our Client Agreement and Terms & Conditions together with our About Our Services & Fees documents to give you an idea of any fees or costs which may be involved if you choose to proceed once we make a recommendation. Providing a good service is important to us, so we're always delighted to receive positive feed back from our clients. Here's what some of them have to say about us. If you'd like to let us know about your experience in using our services please click here. Great service as usual - wouldn't go anywhere else! Professional & helpful with good communication throughout the financial planning process. Efficient, timely & friendly service. Everything was smooth & efficient. Have recommended you to all my friends, family & work mates and will continue to do so. A1 service as always.